Cape Town – Although ratings agencies are not supposed to make decisions about credit ratings based on the political situation in a country, the most recent high-level resignations in National Treasury and rumours about fee-free education could be the last straw. 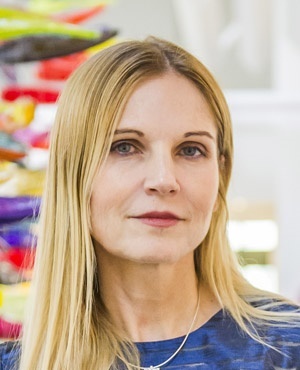 This is the view of Magda Wierzycka, CEO of fintech company Sygnia Asset Management. In a recent interview with Fin24, Wierzycka said ratings agencies are in all likelihood wary of the “irrationality, fiscal irresponsibility and corruption” in the country, which could lead to a downgrade of South Africa’s local currency debt on Friday November 24. Both Standard & Poor's (S&P) and Moody’s have reviews scheduled for Friday, while Fitch, which does not release its review dates, might also make an announcement this week. S&P and Moody’s currently rate South Africa's local currency debt at one notch above sub-investment grade (junk status), while Fitch downgraded both the local and foreign currency rating to junk status in April this year. Moody’s rates South Africa’s foreign currency debt at one notch above investment grade, while S&P downgraded foreign currency to junk status in April this year after President Jacob Zuma’s bruising midnight cabinet reshuffle on March 30 2017. A further downgrade of the local currency rating to junk status by two ratings agencies will have serious implications for South Africa’s creditworthiness. Finance Minister Malusi Gigaba earlier cautioned that a downgrade of the local currency debt, by either Moody’s or S&P, would put South Africa at serious risk of exiting the World Government Bond Index, which could lead to portfolio outflows of between R80bn and R100bn. Wierzycka, however, pointed out that the World Government Bond Index is but one index and it could lead to a “pull-out” of a number of others. “The flows of money out of South Africa is not random. If the creditworthiness deteriorates, which it will with downgrades, we’ll fall out of the indices while institutional investors will also pull out. Other foreign lenders could also argue that the political risk in South Africa is too high, Wierzycka said.